In any creative endeavor, there is a specific moment of inception when the idea of a concept is born. This flash of creativity can feel like divine inspiration as it pops into your consciousness. It usually comes when the mind is calm and not while you are stressed out trying to solve a problem. In todays’ fast-paced world with constant external stimulation, it is sometimes difficult to quiet the noise so you can listen for the thoughts within your own mind. It is impossible for your internal creative muse to have a voice when it is being drowned out by conversation, music, news, television and the internet. I have found that my most creative inspiration comes when I am not actively looking for it, like when I’m taking a shower or when I’m driving alone with the radio off. Creativity cannot be forced. Staring at a blank piece of paper with the pressure of a deadline looming is not conducive to inspirational thought. Visual art, like music, is largely non-verbal. So it is difficult to describe the creative process in words. The cartoon image of a lightbulb turning on to represent the “eureka” moment when an idea is born is actually quite appropriate. When the flash of inspiration hits, it does feel like a light has been switched on inside your brain. Inspiration can come when you least expect it. 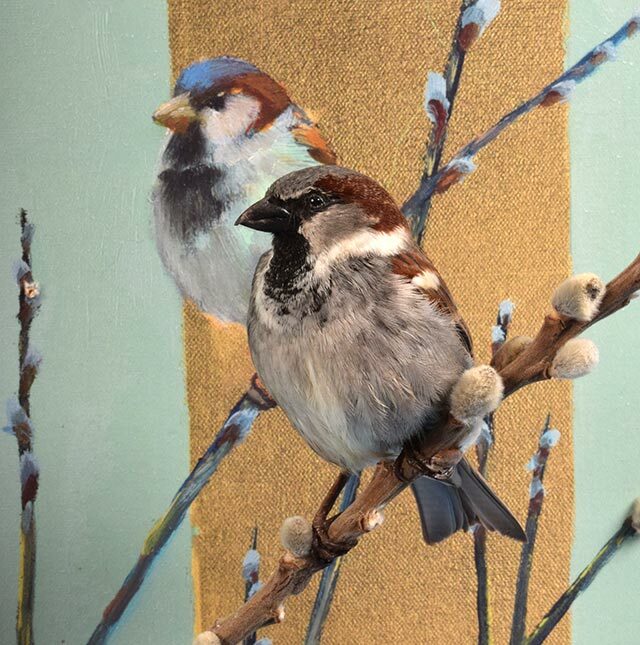 In this edition of “Ken’s Corner” I will present three of my favorite works of creative taxidermy, along with the stories of the origin of their inception from the artists responsible. At the 2015 World Taxidermy Championships, five judges secretly picked their top choice for the Best of Category in the Interpretive Art Division. The result of the balloting was an unprescedented unanimous win for the first place piece by Don Frank of Missouri. 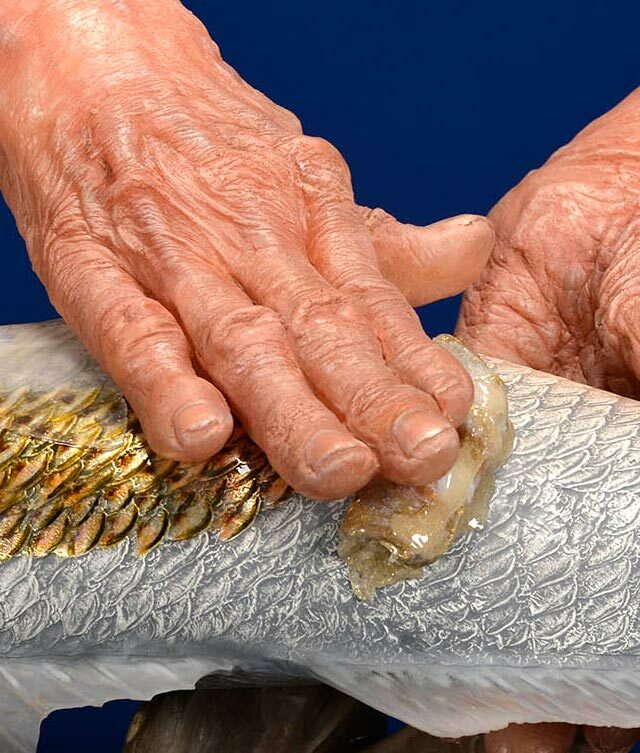 Don had presented a reproduction redfish with enormous human hands revealing the sparkling colors of the fish as they passed over the surface. The meaning of this beautiful piece was left entirely up to the viewer. Were these the hands of a master taxidermist/artist? Were these meant to be the hands of God? Was the color being applied or revealed? Whatever the interpretation, the piece left a deep emotional response among viewers, which is what great art does. The hands were beautifully done. They looked ancient, but impossibly large to be from a real person. 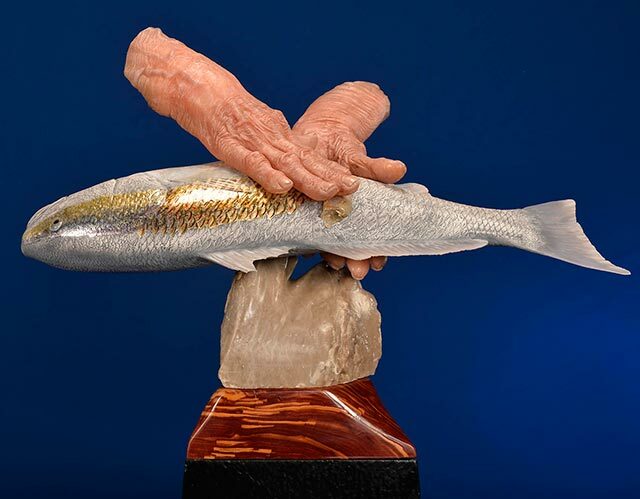 The redfish itself was a thirty-incher, so you can imagine how big the hands were. 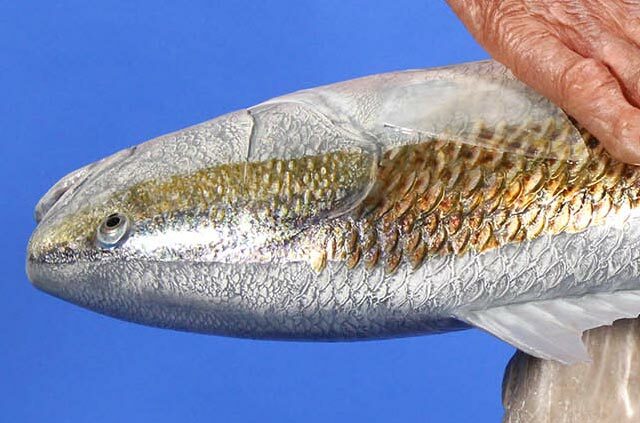 If you have only seen this piece in photos, you may not realize the scale, as you might think the hands are normal sized and the fish is smaller. The flesh-colored skin was reproduced so awesomely and the incredible depth of the colors made it look as though blood was flowing through the veins beneath the wrinkled surface. The colors of the redfish were so bright, clean and precise. They looked as if they were reflected off a mirror. The redfish skin almost seemed to glow with a brightness exceeding the ambient light. I can’t think of another paint job on any other fish that has impressed me more. After the World Show, there was much discussion about this piece on the Forum, with a back-and-forth speculation on the meaning and its origin. 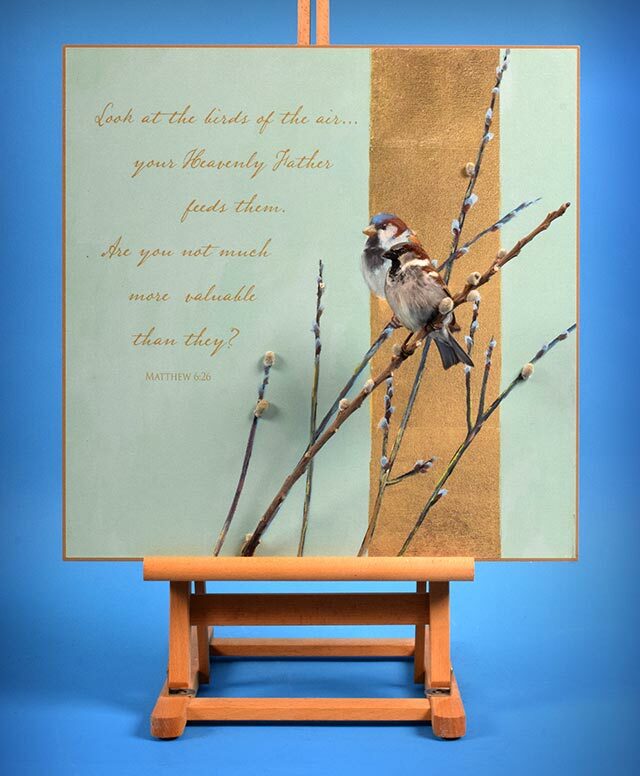 Don would not provide any definitive answer on the intention of the piece, preferring to leave the interpretation of the message up to the individual viewer. (A very smart move in my opinion.) But he did have the chance to explain how he came up with this concept. It was an organic, serendipitous flash of inspiration than became the genesis of this powerful piece. 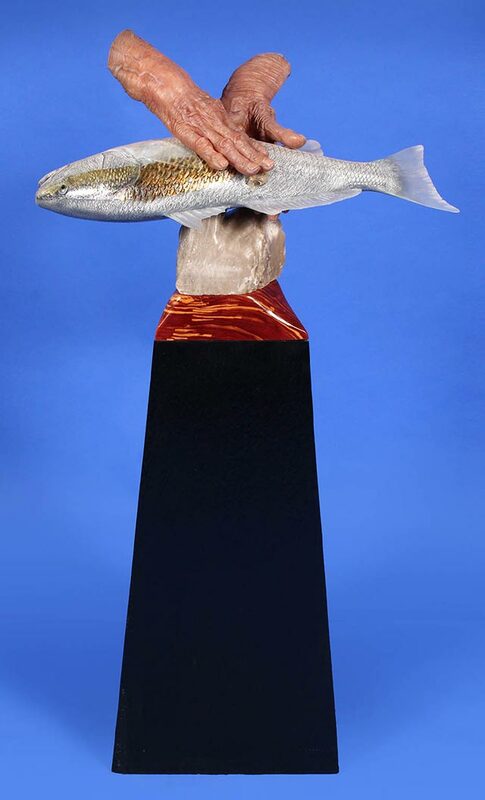 Danny Owens of Lubbock, Texas has won multiple state, regional and national titles for decades in taxidermy competitions. A respected bird judge, Danny is well-known to competitors everywhere. In 2015, he brought a simple house sparrow to the Texas Taxidermy Association convention and ended up winning the Texas State Champion Upland Gamebird title. 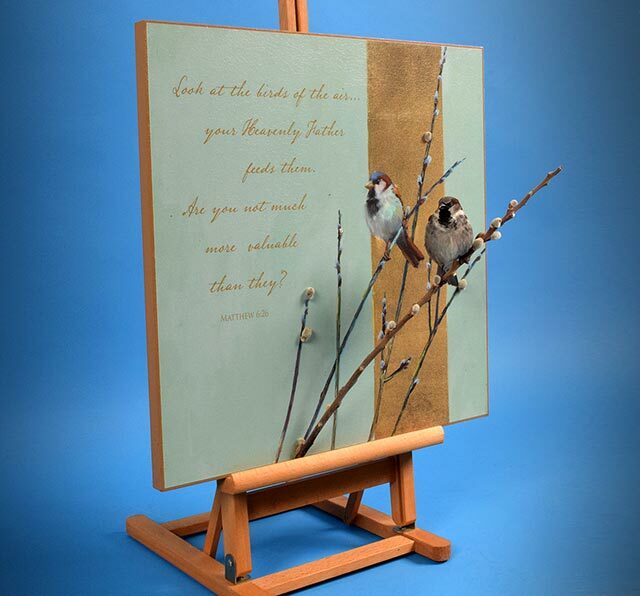 The display featured a bible verse in a creative presentation. When I asked Danny about the piece, he told me the incredible story of how this piece came into being, as you could almost say that the idea nearly fell out of the sky and into his lap. 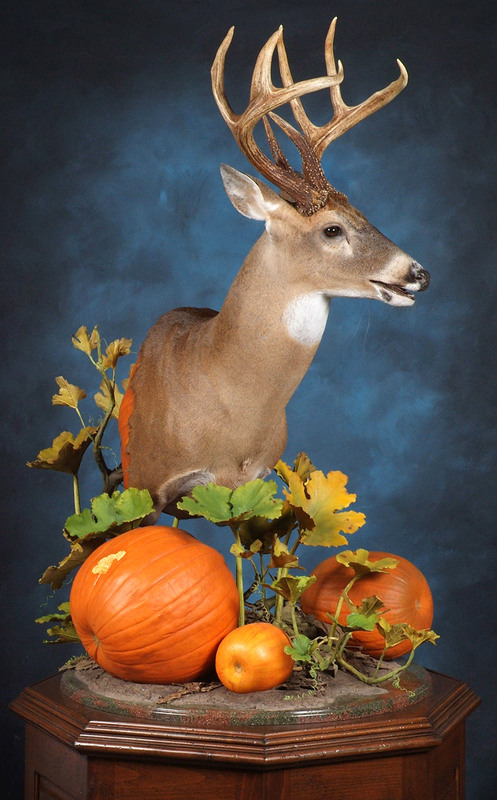 One of the most acclaimed and successful whitetail deer mounts of all time was created by Rick Carter of Bogart, Georgia. 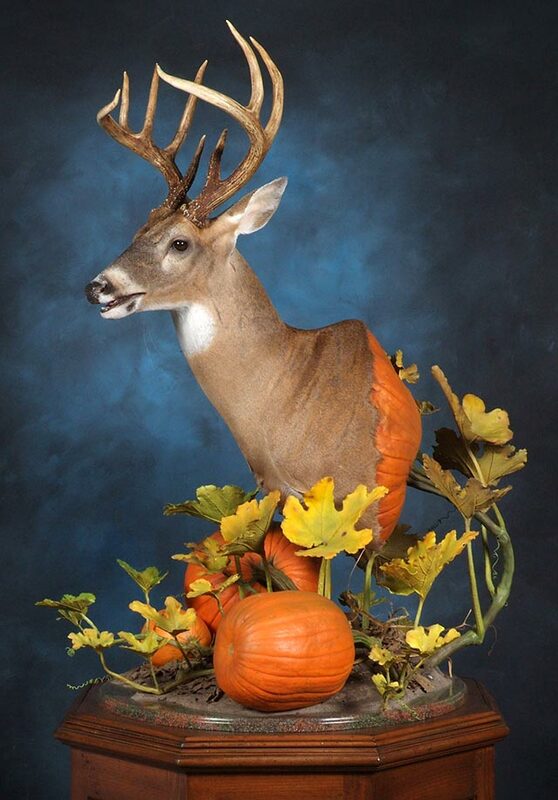 At the 2007 National Taxidermists Association convention in Louisville, Kentucky, Rick’s “pumpkin deer” won the Judges’ Choice Best of Show Breakthrough Award, the Joseph E. Bruchac Memorial Award, the North American Champion Whitetail Deer Award, the Van Dyke’s Award and the Taxidermists’ Choice Best Whitetail Deer sponsored by McKenzie Taxidermy Supply. 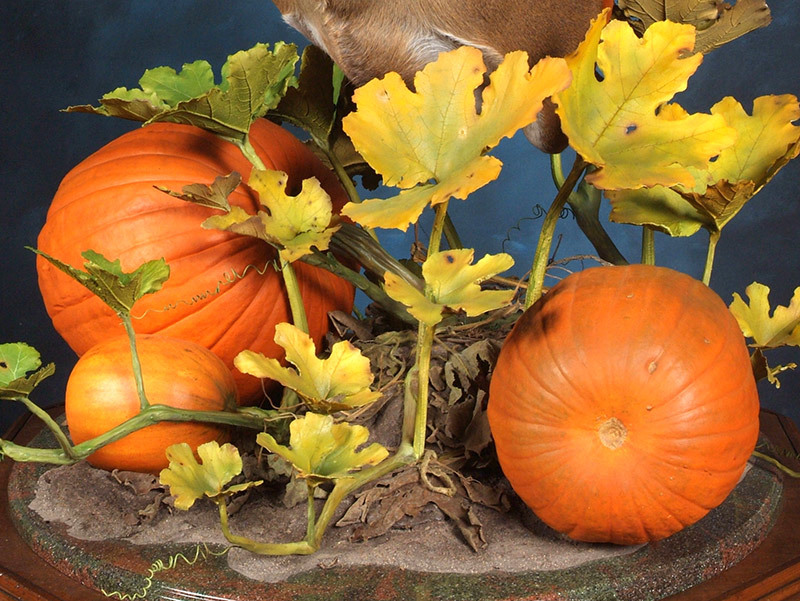 The display featured a pedestal mount whitetail in a pumpkin patch. 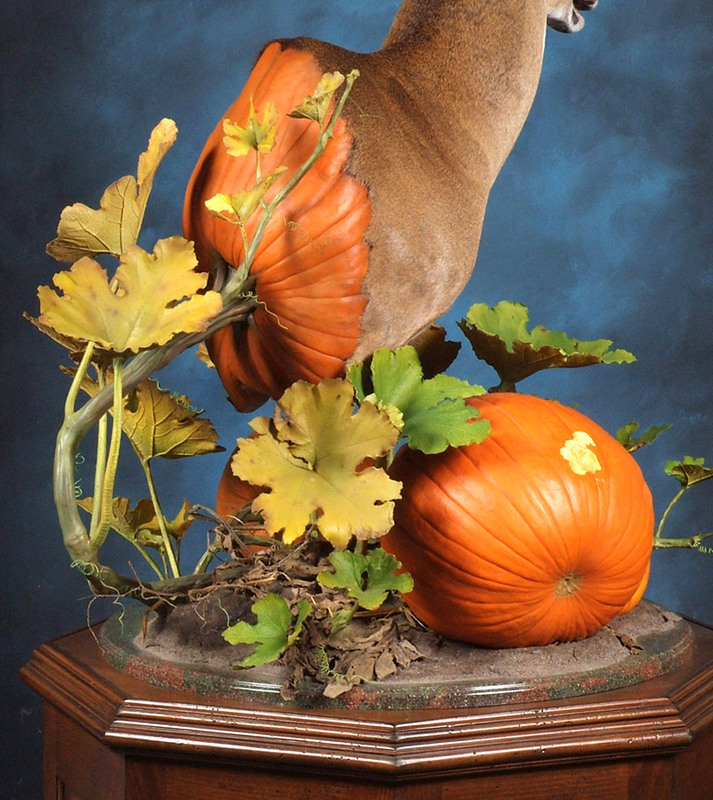 Rick molded and cast the pumpkins, leaves and vines, and supported the deer with a large pumpkin that morphed into the back of the shoulder mount. One of the pumpkins had a bite out of it. Rick is a very creative person, but he is also a meticulous planner, so this piece was the result of both creative inspiration followed by strategy and engineering. When attending large taxidermy competitions, my favorite part is seeing the new creative ideas that have never been done before. After tens of thousands of entries, it would be easy to think that everything under the sun has already been created, but each convention brings new and fresh surprises. The joy in seeing a new idea that puts an ordinary specimen in a fresh unique display is something I never tire of. Creativity is a blessing, but it must be nurtured. If you are looking for inspiration, take the time to slow down, disconnect and maybe even schedule some time to kick back and daydream.